It can be really hard to find a mechanic who you can trust to do the right thing while charging a fair price to service your car, especially if you’ve moved to a new state. We get pretty good insights into the car buying world, as you can imagine, and we’ve noticed that mechanics and repairers often have signs that advertise an accreditation or approval - but what do these really mean for you as a customer? We’ve delved into each type of accreditation and approval that professionals in the automotive industry can get throughout Australia. Just choose from the tabs and get the info you need before making a decision on the kind of automotive pro you need. If you get it right from the start, you’ll be well on your way to building a good relationship with your mechanic while saving money on your car service. If you’re in Victoria, you want a reliable mechanic who’ll put your best interests before their profit margin. There’s two key types of accredited mechanic you can look for - those accredited by RACV and those a part of the VACC A Grade Automotive Network. When you go to an RACV accredited mechanic, you’re given a guarantee that the repairs will be effective under normal operating conditions for 12 months, or for 20, 000 km - whichever occurs first. 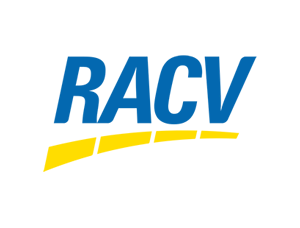 RACV members receive 5% discount on vehicle servicing, repairs and parts. The VACC Industry awards identifies the best in the state for used cars, tyres, towing, service stations, new cars, motorcycle purchase, mechanic, investment in staff, farm machinery, environmental management, engine reconditioning, body repairs, aftermarket and retail, auto recycling, and auto electrical. If you drive an LPG vehicle, or you’re thinking about getting a conversion, in Victoria there’s also an alternative fuel body, the Automobile Alternative Fuels Registration Board (AARFB) that ensures safety and compliance of mechanics specialising in servicing and installing LPG. The best way to find a mechanic is always word of mouth - if someone you know has used a repairer, they’ll want to make sure a good report gets back to them or they’ll risk losing 2 customers. In NSW, there’s two types of approvals that you can look for. The New South Wales Royal Motor Association (NRMA) is the peak motoring body, and the Motor Traders Association of NSW is the trade organisation that ensures standards of its members. An NRMA approved repairer is recommended by the NRMA Motoring & Services as an efficient, reputable vehicle repairer who offers a fair price. They are inspected regularly by the NRMA Motoring & Services team and must comply with the high standards of service and facilities. At your request, provide a written estimate of the required repair work, parts needed and cost. If there’s additional work that needs to be done and the cost will be more than the estimate, then you’ll be contacted. The mechanic will explain what needs doing and seek your authorisation before proceeding. If the repairer can’t do the job because they don’t have the equipment or expertise necessary, they can refuse. Repairs will be done promptly and efficiently. Repairs are guaranteed under ordinary operating conditions for the earliest of 10, 000 km or 6 months. This is a body that represents the auto industry in New South Wales. Provide full details of the work carried out, charges for parts, labour, parts disposal, environmental levies, spare parts and sub contractors. Provide a guarantee for repairs and service for a specific period of time and number of kilometres. If work exceeds the estimated amount, they’ll notify you and seek permission for the additional repairs. If there’s any dismantling charges before a quote can be provided, they’ll notify you. 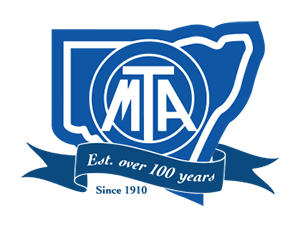 The MTA code of ethics is quite extensive, and includes car sellers as well as mechanics, auto electricians and crash repairers - so if you’re buying a new or secondhand vehicle, a dealer with the MTA membership is bound to offer you an honest description of the car and a fair price. In South Australia, most of the mechanics, crash repairers and auto electricians around have a bright yellow ‘RAA approved repairer’ sign. So what does this mean? If you take your car there to be serviced, what can you expect? First of all, each approved repairer must guarantee their workmanship and maintain a fair pricing policy. They’ve also agreed to be audited regularly to ensure that their equipment and qualifications meet the high standards required by the RAA for the approval. You won’t be charged for work that hasn’t been done. They won’t go ahead and do work that isn’t needed. You’ll be treated with courtesy and respect. They have the knowledge, skills and equipment to perform the repairs they claim to specialise in. They have the right to refuse to do work that isn’t within their expertise. Repairs will be done quickly and completely. You can request a written estimate of the repair costs, work required and parts needed. If there’s any additional work or unforeseen difficulties, you’ll be advised and your approval sought for any extra work that needs to be done. If there’s any dispute that can’t be easily settled, you can submit the case to the RAA within 90 days and the RAA will act as an arbiter. In Queensland there’s two types of approvals a mechanic could have that shows they are committed to provided a fair service at a high standard. RACQ approved repairers aren’t every mechanic in the street, though there are over 300 repairers approved across Queensland. They’ve agreed to participate in annual reviews, including regular inspections of their premises and business operation. RACQ will act as an arbitrator in any disputes. You’ll be given a firm quote for products and services, and approval to proceed will be sought for each part of the repairs. Before the service begins, you’ll have established how you’ll be invoiced and pay for the parts and service. There’s effective dispute resolution systems in place in case anything does go wrong. The MTA Institute was endorsed by the late Jack Brabham, (Australian Formula One driver) and provides high quality and reliable automotive training to technicians and electricians. RAC WA allows you to book car servicing through it’s own website. Each service includes a free wash and vacuum, a courtesy bus within 5km, and a 10% discount on the cost of labour for RAC members. There’s also a 6 month or 10, 000 km warranty on all repairs under ordinary driving conditions. If you need a minor service or a major service, it’s totally clear on the website exactly what’s included for the price. You’ll need to make an enquiry to find out what your specific car will cost. If an RAC service centre isn’t convenient for you, they’ve also approved a range of mechanics and specialists all around Western Australia, so it should be straightforward to find the repairer that you need. Tasmanian Automobile Chamber of Commerce (TACC) accredited repairers participate in a program to deliver a more professional motor vehicle service. This means, among other quality assurance procedures, that they agree to provide a warranty for service. They’ve also got a structures complaint system in place which is endorsed by the Department of Consumer Affairs and Trading. Each accredited repairer participates in regular compliance audits on standards of work, premises, equipment and insurance. When you need a new car, mechanical repairs, body repairs, tyres, an auto electrician or engine recondition, you can find a TACC Accredited supplier. Industry awards identify the best in the state for used cars, tyres, towing, service stations, new cars, motorcycle purchase, mechanic, investment in staff, farm machinery, Environmental management, engine reconditioning, body repairs, aftermarket and retail, auto recycling, and auto electrical. RACT have an Autoserve based in Hobart that provides fixed price car servicing of $170 for RACT members. They also offer mobile windscreen repairs and replacements If you’re not in Hobart though, they’ve approved repairers all around Tasmania. The Automobile Association of the Northern Territory doesn’t have a system for accrediting and recommending local mechanics, but they do provide a roadside service if you find yourself in a tight spot. There’s 8 Darwin Repco Authorised repairers and one in Alice Springs. To find a mechanic who’s been tested out, your best bet is to use a review site such as True Local and have a read of reviews that people have left on the auto repairers they’ve used. When you are getting a car serviced, and you want to be sure that you’re not being ripped off, using an approved repairer is a good place to start. The real key is to ensure that you have good communication. Confirm the method of payment with the repairer before they begin. It can help you to have peace of mind if you ask to see the parts that need replacing or anything that has been removed. When you get the final account, ensure that it is itemised. Keep the receipts for major work such as the timing belt so that you can make sure the service is done on schedule and not unnecessarily before it is due. Remember that just because you use an approved or authorised repairer doesn’t guarantee that you will get the lowest price for your car service. There can still be a difference between fees for different types of mechanical work depending on your car make and model, and at the discretion of your auto repair centre. Depending on the supplier, you can be charged different amounts for certain parts. Sometimes you’ll be given a free loan car, other times you’ll have to pay for one. The best way to find a really good mechanic is to find one that other people have used and recommend. Ask your friends and family - and let us know when you find a good one! We’re creating a list of mechanics recommended by our clients in each major city and state in Australia - check here to find a mechanic someone just like you can vouch for!